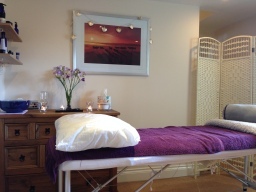 Naturally Beautiful Massage Hastings offers relaxing treatments and sports massage in a friendly environment, based in the beautiful countryside of Icklesham, East Sussex. My main aim is to provide a personal approach to my business, treating everyone as an individual and getting to know my customers. I offer a wide range of holistic and beauty treatments including Facials, Indian Head Massage, Reiki, Manicures and Pedicures. I only use luxury Organic products which are suitable for even the most sensitive skin, providing after care treatment as part of the service. I am also a Sports Massage Therapist, offering massage for recurring injuries, postural problems or just general aches and pains. The treatment room is calming and immediately restorative to your body, mind and soul. I also offer Pamper Packages to treat a loved one and Gift Vouchers can be purchased from as little as £5. Testimonials are curated by Naturally Beautiful Massage Hastings and are not independently reviewed or verified. "I booked a luxury facial with Natalie. Her treatment room is lovely and she instantly made me feel comfortable and relaxed. The treatment was amazing with beautiful products that suited my sensitive skin. My skin felt wonderful and I felt relaxed and refreshed." "We all deserve to be pampered and this is exactly what I received. Natalie puts you at ease straight away and the treatment room with the gorgeous smells makes you feel instantly relaxed. I had a luxury facial and I would highly recommend it, the products are excellent and Natalie Is a Natural. I have already booked my next Facial, can't wait! Thank you for a great experience." "A beautiful setup in a relaxing atmosphere. Warm, friendly and very welcoming. Natalie the beauty therapist is highly professional and offers a selection of lovely treatments. I can highly recommend the delux facial and Indian head massage. I can't wait to visit again. Michelle"